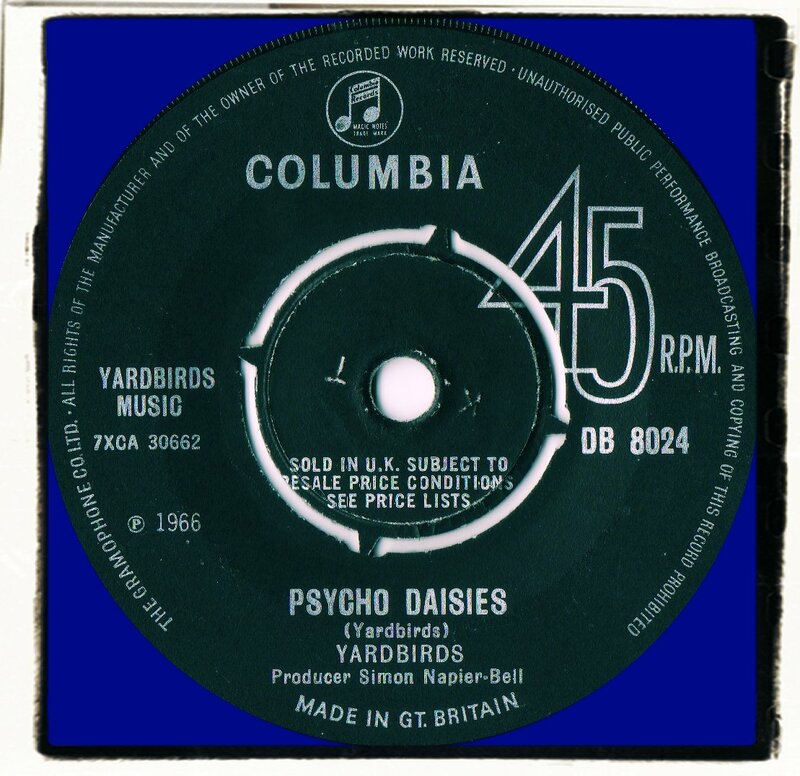 The Yardbirds had gone from a blueswailing R&B outfit to a full blown psychedelic guitar rock band in the space of two years. It helped of course that they were able to draw on the talents of twin lead guitarists Jeff Beck and Jimmy Page, the latter having recently joined the ranks. 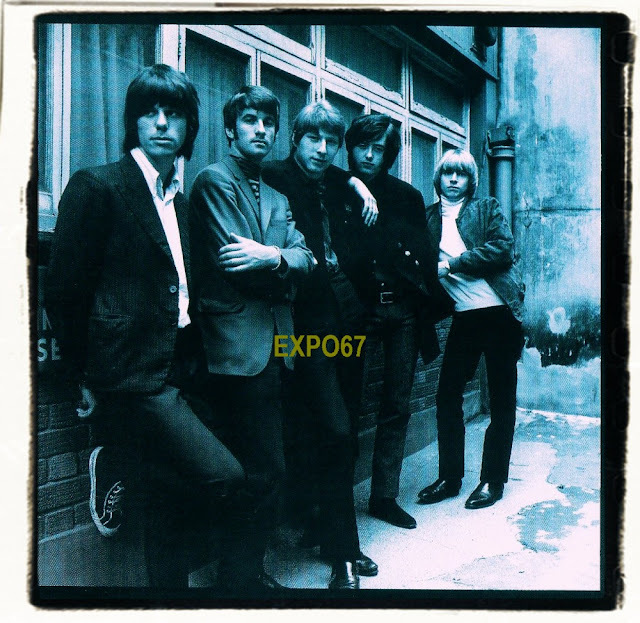 This particular line-up of The Yardbirds was short lived and only a handful of recordings exist apart from these two '66 pearls of psych. 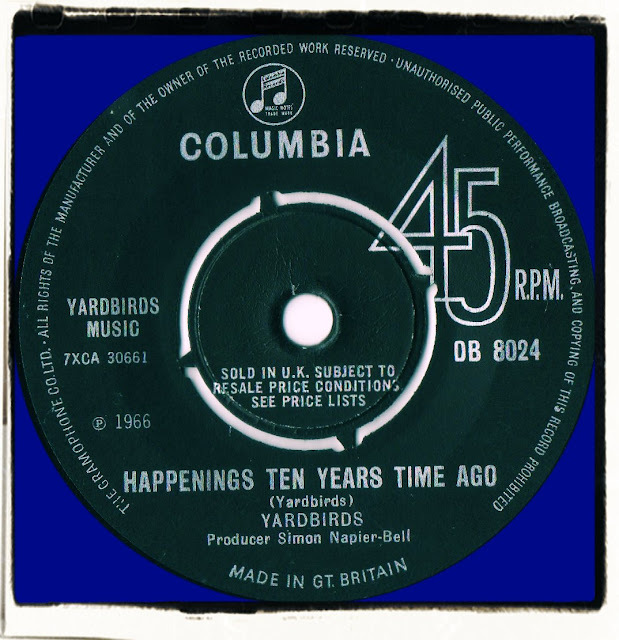 'Happenings Ten Years Time Ago' didn't go down too well with the kids and it failed to crack the top 40, which in those days was a disaster. "Pop group are yer? Why yer gotta wear long hair? I've read elsewhere that John Paul Jones played bass guitar on this track. 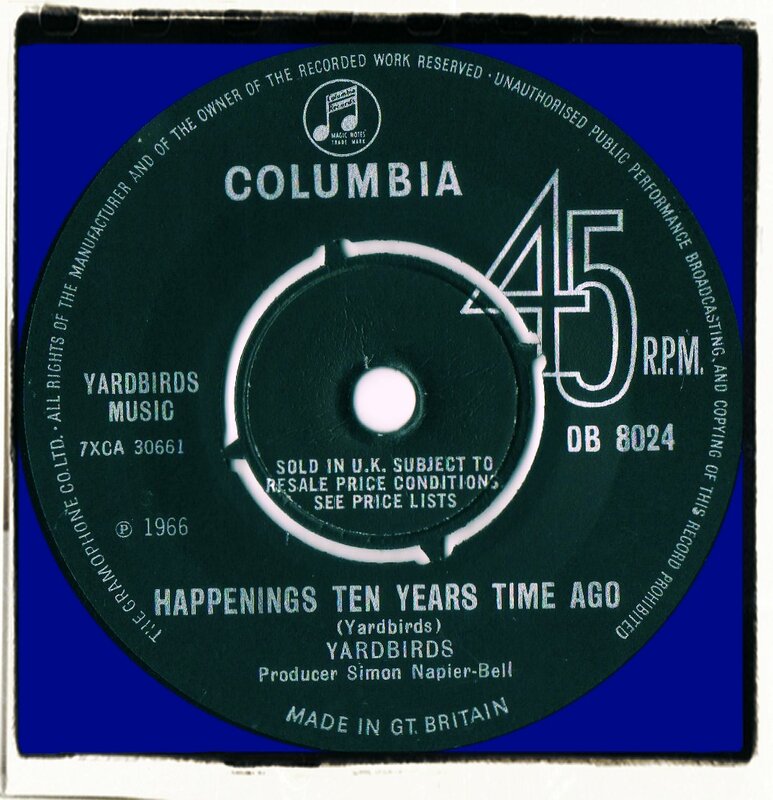 "Happenings..." is most probably my all-time fave Yardbirds track. Incredibly exciting!